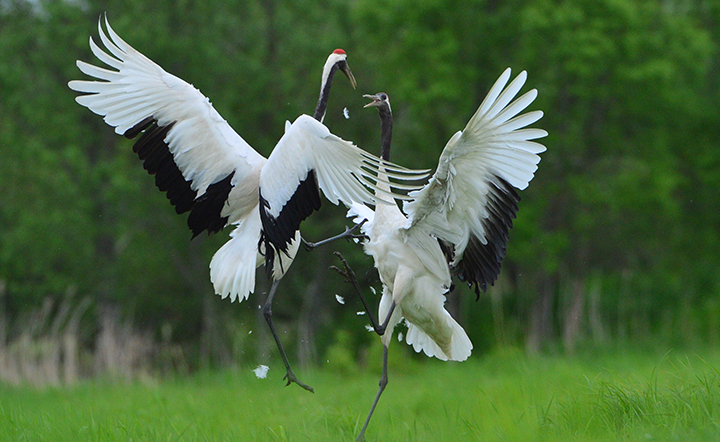 See the iconic red-crowned crane in Japan’s largest wetland, Kushiro-Shitsugen National Park. Kushiro-Shitsugen National Park spreads across several municipals: Kushiro City, Kushiro Town, Shibecha Town, and Tsurui Village. The area in total covers 29,000 hectares, 7,900 hectares of which are protected under the Ramsar Convention. In 1980, it became the first wetlands in Japan to be inducted into the Ramsar Convention, and seven years later was designated as a national park. This vast and impressive landscape has been shaped by nature over tens of thousands of years. Approximately 20,000 years ago, the Kushiro Wetlands were land. However, over the years, rising temperatures caused it to become part of the sea. Finally, 3,000 years ago, as the salt water began to recede, it left large bodies of marshes and wetlands. These spectacular wetlands are home to numerous fauna, such as red-crowned cranes, which are designated a Special Natural Monument of Japan. You can also find the Siberian salamander, which is believed to have survived the ice age, as well as many other creatures. The Kushiro River, which weaves through the wetlands, is 154 kilometers in length, making it the fourth longest river in Hokkaido. 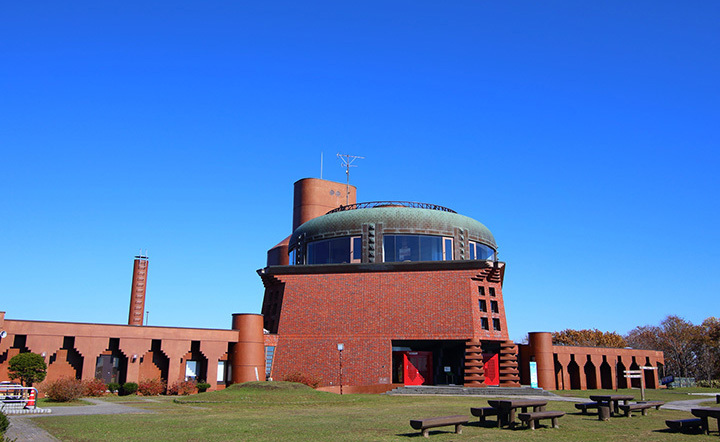 There are three different ways to enjoy the Kushiro Wetlands. One is to ride the sightseeing train along the Kushiro River. From the train you can enjoy its beautiful scenery, and get off and look around. Another option is to walk the approximately 2.5-kilometer-long boardwalk along the river. This path stretches out from the Kushiro Wetlands Observatory, and takes about one hour to complete. The view of the wetlands from the Satellite Observatory is absolutely stunning. You can also canoe down the Kushiro River. The gentle flow of the river is relaxing, and can be enjoyed even during early winter months, when thin layers of ice begin to cover the river.